We want US based, social influencers & bloggers in the fashion, lifestyle, Wine or Travel & maybe other relevant verticals to write about BeyondTag & introduce the website to their readers – who could enjoy the freedom to decide their prices & thereby save on designer brands like Alexander McQueen, Gucci, Versace V Italia, Tom Ford, Fred Perry, Christian Louboutin, Dolce & Gabbana and more. We are currently in beta (and would like this blogging assignment to introduce our product/website accordingly) and will be launching in a month or two at which time, we will invite a select few to our launch party. We need help from all US based – Fashion Bloggers, Lifestyle, Wine bloggers who could extend into designer brands lifestyle vertical, maybe Travel & Tech Startup/Entrepreneurship bloggers too. 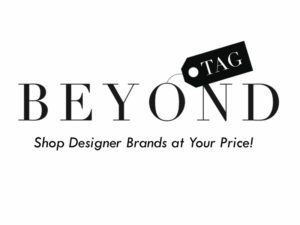 The most creative blog post featuring BeyondTag would win the competition – and get free designer products worth $700.00.